Weleda Pomegranate Firming Night Cream 30ml. Nivea For Men Extra Sensitive Moisture 75ml. Condition is New. Dispatched with Royal Mail 2nd Class. A light, easily absorbed cream to smooth, hydrate and protect the skin. Suitable for sensitive skin. natural constituents of the essential oils. Apply daily on face and body. Massage thoroughly where needed. Suggested Use. Caution: For external use only. Keep out of reach of children. Hydrance Light. For Normal To Combination Sensitive Skin. Sukin Super Greens Facial Moisturiser 125ml. Busy lifestyle, You look older than you feel. Take action: Re-empower your skin. key features. Tailor made technology for every man's skin. 85.1% ORGANIC, ^FAIRLY TRADED. Balancing organic skin defence cream with UV protection. Pure Power. Discover Pure Power! Continuous Spot Figting with no tight feeling. Skin feels soft and matte. High Concentrated anti bacterial Salicylic Acid. Weleda Moisture Cream For Men 30Ml (10 Pack). The morning after, skin looks fresher, more radiant and rested. Facial serum. With our highest concentration of wheatgerm oil. Apply into palms and smooth over face and neck. Use once daily - in the evening. MOrganics beauty specialises in providing quality organic and natural skincare and body products with an experience of ten years. Either that or the cards get mixed with flyers and leaflets and are not found. The color of the product may vary / different tint/ depending on the color reproduction of your monitor. Busy lifestyle, You look older than you feel. Take action: Re-empower your skin. Weleda Almond Soothing Facial Oil [50ml] (3 Pack). 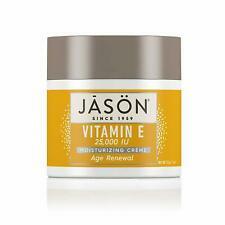 Jasons Natural Organic Aloe Vera 84% Vitamin E Face Cream 113G (3 Pack). $A certified organic, non-greasy after shave moisturiser. ---Replace the natural oils needed for healthy skin ---Cool down after shaving or use as an after sun/sports lotion ---Fairly traded Shea butter and organic Almond oil soothe skin ---Plant actives and antioxidants guard against spots ---Organic Aloe Vera, Shea butter, Green Tea, Mint & Calendula How to Use Combine with No. 2 Soothing Shaving Gel for the ultimate shave. Apply sparingly on face and neck with light tapping motions. Avoid eye area (mint and eucalyptus oils. For wrinkles around the eyes use: Vita Lift Eye Roll-on. Add to favourites. Who is it for?. Busy lifestyle, always looking tired?. You look older than you feel. 100% Authentic & Genuine Products. Helpful Links. Laneige . Water Sleeping mask (60ml). Crystal Clear & Hydrated skin with water science. 89.9% ORGANIC, ^FAIRLY TRADED. Organic Evening Primrose, Avocado, Squalane from Olive, Green Tea, Baicalin & Seaweed. Rich in organic plant oils to support natural skin health. This system allows for you to get the longest dated and genuine products available. Lower Age Limit Item Size Units Per Sale: 2. HYDRANCE LIGHT. EAU THERMALE AVENE. ABOUT "JASON" PRODUCTS Skin Type: normal, dry, sensitive or irritated skin. Apply daily on face and body. Massage thoroughly where needed. Application area: Face and body. For external use only. Keep out of reach of children. Skin looks healthier, reduces excess oil with a sebum absorbing active ingredient, the formula reduces excess oil. Skin feels soft and matte. Hydrates for 24 hours Skin is well hydrated and comfortable, with no tight feeling. Great gift at a good price for anyone using the Clinique 3 step system for dry/dry combination skin. I keep a note of batch numbers I send out to protect against fraud. Each morning after cleansing and toning, apply a small amount evenly to the face, neck and décolleté with your fingers. Especially beneficial for skin prone to redness, irritation and couperose. Evening Primrose Oil.